Sign up and receive Property Email Alerts of Warehouses to let in Philippi, Cape Town. Brand new development in Cape Town, Philippi. The site is located on Mahillion Road in Highlands Estate and is in close proximity to Govan Mbeki Road and Jakes Gerwel Drive. The development improvements comprise of a 7,456sqm industrial warehouse with sprinklers throughout and internal racking layouts. An office area, mezzanine storage level and kitchenette available as well as CCTV cameras, security guards and controlled access for the new build and existing building. A shared yard with dock levellers and loading bays available. Contact Craig Viola for more information. The new development improvements comprises of a modern open plan warehouse of approximately 7,456sqm with an office area, mezzanine storage level and kitchenette. 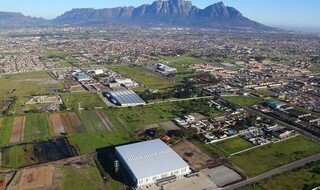 The development is located on Mahillion Road in Highlands Estate, Philippi, Cape Town. The premises is in close proximity to Govan Mbeki Road and Jakes Gerwel Drive. Sign-up and receive Property Email Alerts of Warehouses to let in Philippi, Cape Town.